We had another support strike here on Calipatria's A-Yard from Aug 26 to the 28th. The July 8th support strike went on for 7 days and involved all races. There was also broad refusal to go to work or school. This time around, however, only Mexicans refused food and people still went to work. On top of all that, the food strike was called off right after a race riot broke out on the yard between us (Mexicans), and the whites. We skipped 9 meals but I'm not even sure that the pigs reported this as a hunger strike. The pigs have clever ways of manipulating our numbers here. During normal program we get a sack lunch as we exit the chow hall after breakfast and I believe they lump this together as one meal because during the July strike they didn't come around to acknowledge that we had skipped 9 meals and ask if we were participating in a hunger strike until after we skipped breakfast on the fifth day. By then about half of the strikers had started eating and going to work. They also followed their question of whether we were on hunger strike by asking if we would allow them to take the food we had in our cells. Many answered "no," others answered "yes." The following day the pigs came around and only bothered with the cells that answered "yes," going right by the cells that answered "no." CDCR claims that confiscating food is done in order to monitor our food intake. They can say that they couldn't start monitoring our food intake until they confiscated the food. If they start counting how many meals you skipped after they took the food then you're not even counted as a hunger striker because we only lasted a day and a half after that. When they asked if they could remove food items they only accepted yes or no answers. I told the pig over and over that there was no food for them to take but that wasn't even a question. If you answered no then they could say that you acknowledged having food in your cell but wouldn't allow them to take it. They pretty much don't have to count anybody by using these tactics. We need to go on an indefinite work strike that should last as long as they insist on having indefinite SHU terms, but there's not enough people with jobs in level 4 yards making it easy for CDCR to target those few inmates who refuse to work and replacing them with people from lower levels or PC yards. MIM(Prisons) responds: This discussion of the latest action in Calipatria underscores the importance of our work to build unity and a United Front before engaging in serious actions. We commend everyone who stands up against the system and puts their lives and health at risk, but without unity we end up with small numbers of protesters and struggle to present a united position to the prison system. As we discussed at length in our article summing up the strike suspension, we don't anticipate the state will meet the strikers demands, but the struggle against torture continues. I'm writing to report on the hunger strike from Calipatria State Prison. Everyone here on the facility showed their support. Not all of us agreed on the tactics that some chose to pursue but nonetheless we all participated. Some people refused to go to work while others chose only not to accept food. Everyone who chose not to go to work received write ups (CDCR 115) for refusing to work and participation in security threat group (STG) activity. So now those people have STG points against them. Some guys were trying to force everyone not to work but calmer heads prevailed and they allowed people to make the choice themselves. Out of the 850 prisoners on this yard, at least 700 participated. It only lasted for a week. The staff passed out a flyer on what can happen medically to a person who goes without food for long periods of time. They sent the nurse from door to door asking if people were alright but it didn't get to the point where they had to start weighing people. A lot of questions are now being asked like what did that accomplish? Although we had a high level of participation we had no one to actually explain what the strike was for or what are the goals we are trying to accomplish. Most guys just get involved because they were told to. The people who are socially conscious and politically conscious didn't want to speak up for fear of being labeled as inciting the strike which will land you in the SHU. A lot of guys who have been down for 30 years have been broken and refuse to stand up to the administration. All in all we here at Calipatria showed our support until next time. MIM(Prisons) responds:First let us recognize what this comrade said about prisoners receiving STG points against them for a peaceful refusal to eat or go to work. This is what the CDCR is using to label people a Security Threat Group member and put them in torture units for years or even decades - the main thing that the strike is protesting in the first place! Such outrageous injustice should fuel the struggle for basic humyn rights in Calipatria. Second, let's acknowledge the amazing accomplishment of having 700 out 850 prisoners participate in a united action that was part of a planned strategic approach towards change in the interests of all prisoners. This is historic, and it is happening all over California! That said, the masses are correct to ask, "What did this accomplish?" This report exposes the importance of building political consciousness and educating our comrades behind bars both before and during protest actions. We must build leadership to ensure that the political message of these protests is effectively conveyed, both to those participating and to the target of our protests. Of course, the application of leadership in such closely monitored conditions should be done cautiously as the comrades in Calipatria did. Materials like Under Lock & Key can be tools for spreading education and providing leadership. But even then we face censorship, and prisoners get written up just for possessing literature, which presumably was given to them by prison mail staff in the first place. The solutions to this are tactical questions that should be part of the sum up of the experiences in California prisons this summer. As the masses are struggling for answers, now is the time to step in and have these discussions however you can in your locality. What is the opinion of the actions? What do people think should have been done differently? How did leadership fail, and how could you build differently in the future? If you come up with universal conclusions send them to us to share, however as conditions vary over time and place, most of these conversations should be applied locally. On the large scale we can make a few points. First, the strike was about ending conditions of torture in California prisons, in particular in the long-term isolation units (SHU, ASU, etc.). And the strike continues with almost 300 people having not eaten for over 40 days according to the CDCR, and an unknown number of others still participating who are not being counted. So the struggle continues there. If comrades in Calipatria are asking what their one-week actions accomplished, we encourage them to look back at the agreement to end hostilities and the United Front for Peace in Prisons statement on page 2 of Under Lock & Key that were used to form a basis for the massive support seen this time around. The goals of these projects are to unite prisoners around their mutual interests as prisoners and prevent the state from pitting them against each other as a form of social control. 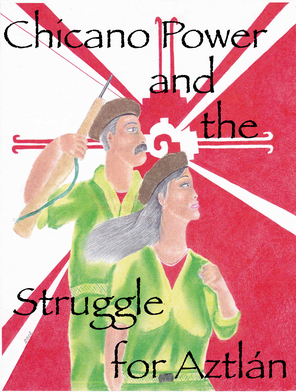 We hope that comrades in Calipatria were inspired by the tremendous level of solidarity this author reports on. There are many ways to build on this unity through things such as study groups, health campaigns, literacy programs, and other forms of mutual support. In our own work we model such programs after the Black Panthers and Chinese Serve the People Programs, which had the purpose of providing for survival needs pending revolution. I'm a prisoner at Calipatria State Prison in California. I've been housed in this prison's Administration Segregation Unit (ASU) for almost five years pending transfer to Pelican Bay's Security Housing Unit (SHU), due to my alleged association with a prison gang, now called Security Threat Groups (STGs). 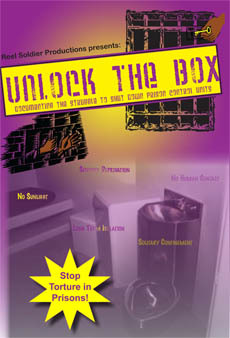 In recent days, Calipatria's ASU prisoners were given a 63-page instructional memorandum packet. This memorandum announces the implementation of an STG pilot policy which serves as a notice of program, behavioral and participation expectations in the new Step Down Program (SDP) for prisoners housed in segregation units. Prison officials here have told us that in the coming weeks CDCR representatives from Sacramento will be reviewing the case file/validation package of all those who have been validated as associates of an STG here at Calipatria to determine their current and future housing needs in accordance with the new SDP placement option chart. This new policy and SDP is a sham! It does not address the core issues and only gives the illusion that if a prisoner jumps through all their hoops he/she could escape these torture chambers. The fact of the matter is that even if the prisoner is able to gain his/her release back to the general population, s/he will be walking on very thin ice thereafter. Any infraction could bring him/her right back to these torture chambers for an additional six years minimum. If a prisoner has already been through the SDP they will have to serve two years in step one, instead of the one year for first termers in the program. CDCR might as well place revolving doors at the entrance of every segregation unit, because this is exactly what the new policy offers. Maybe its going to take the sound of thousands of hungry rumbling bellies before CDCR listens to reason and begins to write policies that are humane and fair. MIM(Prisons) adds: California has been housing prisons in long-term isolation for years under the guise of gang (aka security threat group) validation. The conditions in these units have provoked a number of protests from prisoners, and this prisoner refers to the upcoming July 8 strike against torture in California prisons. In 2011, when 12,000 prisoners went on hunger strike to protest long-term isolation, the CDCR asserted that they were already working on the issue. This SDP was what they were working on. Previously they offered "gang validation" to prisoners deemed to be affiliated with one of a handful of "prison gangs" within the system. This new policy expands the gang validation, and therefore long-term isolation torture, to all sorts of organizations that are deemed "criminal" or even just "disruptive." Keep in mind that if prisoners stand up against staff abuses, this is considered "disruptive" behavior and such prisoners face regular retaliation. While none of this is new, it is now official policy. This is their idea of reforming the system. While we know the whole system needs to be thrown in the trash, in the mean time we can at least do better than this. But it depends on prisoners organizing in unity to better the conditions of all prisoners. Work with MIM(Prisons) to support prisoner education and organizing. The pigs have been up to the same old stuff around here. Three days ago they shot and killed one of the brown brothers with the mini 14 assault rifle, the same rifle type the media and congress has been trying to ban. Two guys were attacking another guy and they were on him and wouldn't stop. So the pig stopped it with the assault rifle. The official report is that the victim had a stabbing instrument in his hand. But the men who were closest to the incident said they saw no weapon. Of course they did the routine investigation and sent out some COs to ask if anybody saw anything. And of course no one wanted to talk. The pigs have brainwashed so many of us that we believe if we report on the pigs' wrongdoing then that makes you a snitch. A lot of guys are afraid to write a grievance for fear of being labeled. The bad thing is the pigs have their compradors in place to push this point. Some guys here on a facility organized a food strike to protest the fact the kitchen has a mice/rodent problem. It was only one building. There was no communication that it was going to take place. They did it and got some people's attention. Inspectors came out and looked at the kitchen and gave the kitchen workers a pep talk and told them they needed to tell the population that the problem was being taken care of. All they did was put some mouse traps down and nothing else. Hopefully the population continues to stand up for themselves. If this is a sign of change I hope it continues because the pigs got nervous when those guys refused to eat. MIM(Prisons) adds: The righteousness of opposing "snitching" is in the idea that you don't go running to the oppressor to deal with problems among the oppressed people. In other words, don't snitch to the oppressor on the oppressed. There is no such thing as snitching on the oppressor. To report abuse of the pigs, you are not bringing the oppressor into a conflict among the oppressed; the oppressor already is the source of the conflict. And if the oppressed don't have the means to resolve that conflict, then it may be tactically correct to turn to other oppressors to resolve that conflict. 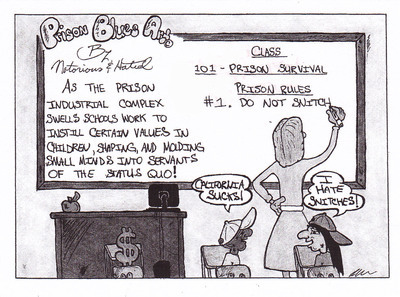 It is true that the prison administration gets nervous when prisoners organize. The more we can unite around common goals, the more power we will have. If the oppressed stay quiet and disunited, there is no counterbalance to the abuse that prisoners face. I want to bring up an issue that should be addressed and included in the struggle for positive change. Back around 2005 the Department of Corrections began installing timers on our toilets, to limit us to two flushes every five minutes. The reason given for the timers and limits on the flushes is for the purpose of water conservation. I'm all for saving the planet and conserving Earth's resources, but not at the expense of my own health and well-being. The timer and two-flush limit has emphasized the impact of living with a toilet in the compact space where we also eat and sleep. No man should have to be forced to endure prolonged exposure to the revolting stench of human waste! To limit us to two flushes every five minutes is simply unreasonable, but what is unconscionable and amounts to cruel and unusual punishment is the so-called "penalty flush!" especially when we have no way of knowing when the toilet's timer has reset itself. Here at Calipatria State Prison if we inadvertently or purposely attempt to flush the toilet a third time before the toilet's timer has reset itself, a 15 minute penalty will incur. This means the toilet will not flush for 15 minutes and anything in the toilet will remain there throughout the duration of the 15 minute penalty. In other prisons I hear that the penalty flush can be anywhere from 30 minutes to an hour! There's simply no penological justification for the penalty flush because the two-flush limit every five minutes serves the penological interest of the water conservation. It is inhumane to punish a man for simply trying to use the bathroom. So please include this stinking issue into the struggle. United in struggle we will prevail. 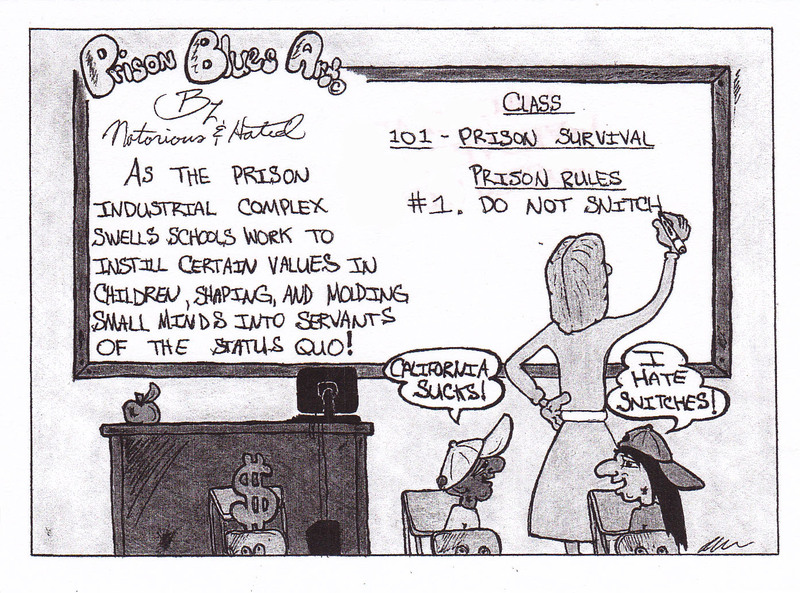 MIM(Prisons) responds: Actually, water conservation is not a penological interest at all. Like this correspondent says, a two-flush-per-five-minute rule would be enough to prevent any attempts to abuse toilet flushing. The penalties for attempting to flush the toilet show us clearly that this is just another method to make prisoners’ lives extra miserable, and dangerous, for no good reason. It might be argued that flush rules are in the state's interests to save water, because water is money. But either way, the "greening" of Amerikan prisons highlights the dominant pro-imperialist slant of so-called environmentalism in this country. Water conservation can be used to improve production for California agribusiness, or it can be used to provide people with clean drinking water across the world. Which goal you choose is a political question. Really environmentalism that is not internationalist in perspective is not true environmentalism at all because it ignores most of the biggest problems humyns face interacting with our natural environment in favor of the local interests of small, privileged groups. I received issue 27 of ULK along with MIM Theory 13, thank you. I've already read the ULK and I appreciate all the articles. A few months back you sent out a letter to the warden here over an issue of ULK I did not receive. Although I never received the issue, I did talk to a lieutenant who claimed that MIM was banned. I didn't pursue it because I had passed the time limitation to raise the issue, but I've since received the most recent issues after that. I believe it was issue 25 I didn't get. Your letter got their attention. Other than that it's business as usual with the oppressor. Just last week the pigs slammed a young Black male (22 years old) to the ground and charged him with assaulting a "peace" officer. The prisoner was attempting to enter the housing unit when one of the pigs asked to see the watch he was wearing. The young man being a rebel without a cause chose to ignore the pig and proceeded to walk into that building. The pig and his cronies blocked the door and told him he wasn't going anywhere until he showed them the watch. The young man backed off and requested to speak to a sergeant. This simple request pissed the pigs off. They proceed to escalate the situation immediately. As the sergeant was making his way across the yard one pig rushed the guy and slammed him to the ground. This caused some of the prisoners to act out verbally and tell the pigs that the force was unnecessary. The whole thing was a set up from the start. While one pig was confronting the guy another was on the walkie talkie reporting something (most likely a lie), and then two pigs came out of the building and the only Black pig out of the crowd of six or seven pigs chose to slam the young Black male. When I read the article "Trayvon Martin National Oppression Debate" it hit home when Soso stated: "Every persyn in this country sees the stereotypes of Black youths as hoodlums..." as a result any "unarmed Black youth can be killed by cops and vigilantes while the imperialist state does nothing." Here lately the pigs have seemingly been trying to incite the masses. It's summertime and out here in Imperial County, California (which is less than five miles from Yuma, Arizona) it's extremely hot. Triple digits regularly, the pigs have been forcing us to wear state issue clothing to the chow hall and the shirts must be tucked in. When it was winter and cold we were not allowed to wear thermals to the chow hall. Now that it's hot they're forcing us to wear stuff that will make you hotter. Furthermore, they have launched a campaign of constant harassment. Searching cells everyday which is causing folks to complain. As of yet no one has written a 602 [grievance form] and me personally I don't have any grounds to write one as I have not been harassed. I try to lead by example and share the literature with the brothers of the struggle. It seems as if we've lost a generation or two. There's a shortage of revolutionaries, at least here at this place. Only time will tell if the masses wake up. I often imagine myself coming up in the era of George Jackson and the likes. I attempt to put myself in those guys' shoes, and I try to emulate what I picture them being. I'll close on that note, power to the people. 11 October 2011 - I want to keep you up to date on our struggles here in Calipatria State Prison in regards to the food strike. Personally I went 8 days before my body shut down. I lost 11 pounds and am still having a hard time re-adjusting back to normal. There are many men still striking and my heart goes out to them. My medical disorder (seizures) was really affecting my mind and body. I have been working on getting my mind and body back on track. I am going to start writing letters to the warden and encourage fellow prisoners to do the same thing. I'm going to try my best to get done what I can for us men in here. I know this battle is going to be one hell of a struggle, but I'm going to do my best. I got 9 men on board and we're very serious about the goal we set before us. If they take one of us, there will be someone to pick up where things are left off. I appreciate your guidance and so do the rest of the men. I shared your pamphlet with every single man here and also wrote a "kite" addressing it to every active soldier. I understand it's not going to be easy, but I strongly believe we'll succeed in struggle together. UPDATE: The coalition providing outside mediators for the strikers has reported that Calipatria prisoners ended their strike on October 15, two days after leaders in Pelican Bay had done so. While the mediators report that Pelican Bay prisoners believe their individual cases will be reviewed, the state says nothing changed in their plan to trigger an end to the strike. Either way, it is clear that the 5 demands are not being met. 6 October 2011 - At the moment here in Calipatria State Prison in ASU about 100 prisoners are on day 11 of the hunger strike and we will be on it until the CDCR meets the demands of PBSP on how prisoners are validated through this torturous inhuman system. 4 October 2011 - Regarding the current hunger strike that is going on in California's prison system, Calipatria state prison is participating in A, B, C yards and ASU went on hunger strike on 9/26/2011. Unfortunately the mainline yards have started eating again but ASU still has 100 strong not eating. I came to ASU in April 2010 at a healthy 7'1" 420 pounds and I weighed in at 281 this morning.